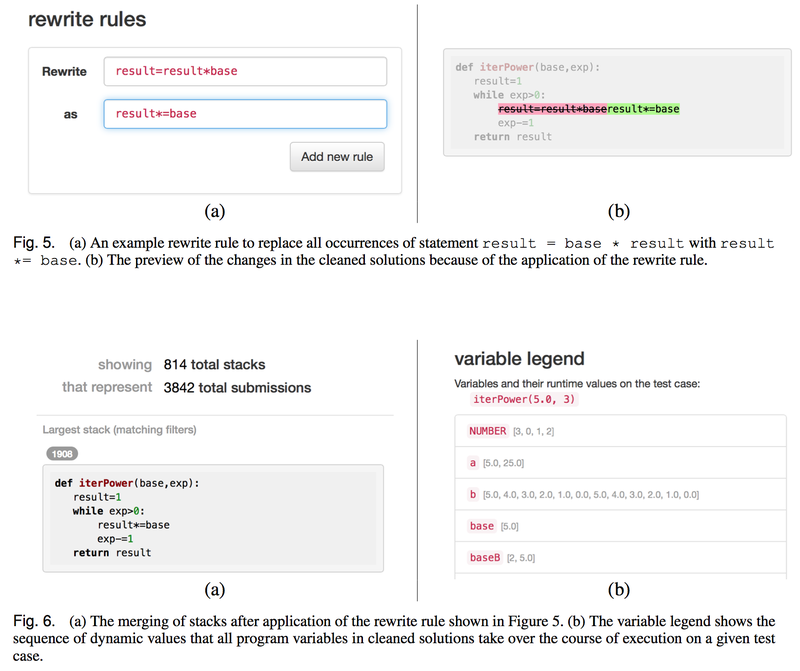 In MOOCs, a single programming exercise may produce thousands of solutions from learners. Understanding solution variation is important for providing appropriate feedback to students at scale. The wide variation among these solutions can be a source of pedagogically valuable examples, and can be used to refine the autograder for the exercise by exposing corner cases. 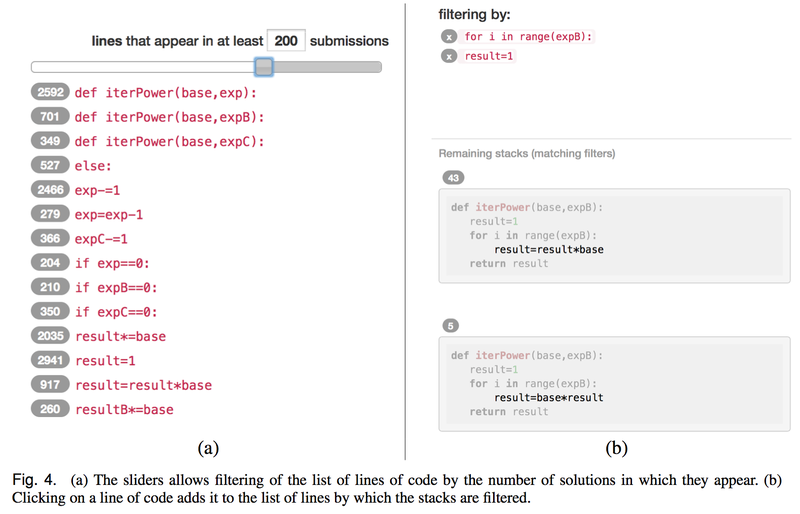 We present OverCode, a system for visualizing and exploring thousands of programming solutions. 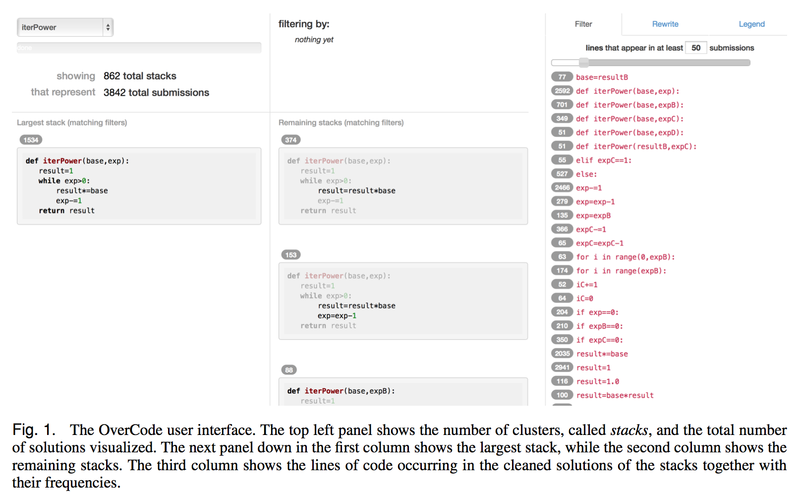 OverCode uses both static and dynamic analysis to cluster similar solutions, and lets instructors further filter and cluster solutions based on different criteria. We evaluated OverCode against a non-clustering baseline in a within-subjects study with 24 teaching assistants, and found that the OverCode interface allows teachers to more quickly develop a high-level view of students’ understanding and misconceptions, and to provide feedback that is relevant to more students. 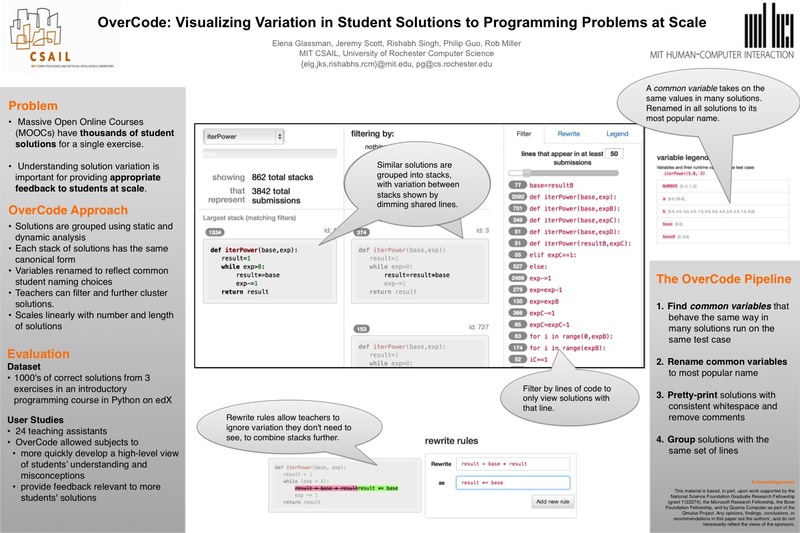 OverCode: Visualizing Variation in Student Solutions to Programming Problems at Scale. Elena L. Glassman, Jeremy Scott, Rishabh Singh, Philip J. Guo, Robert C. Miller. ACM Transactions on Computer-Human Interaction (TOCHI) Vol. 22, No. 2, March 2015, 35 pages.